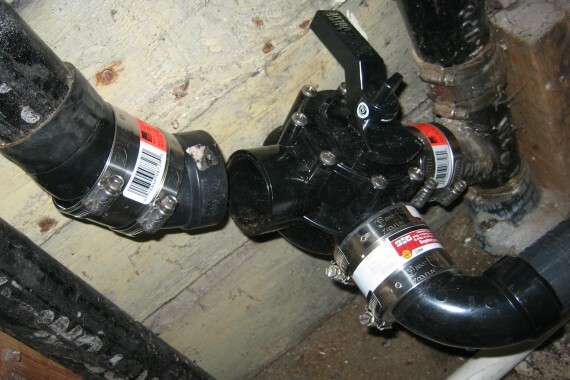 A branched drain system connecting shower water to outdoor irrigation piping. Greywater refers to any gently used water from showers, sinks, and washing machines. This water is a valuable resource that can be used directly for irrigation or can be recycled for flushing toilets. Visit our friends at Greywater Action to learn all about greywater systems and guidelines.